Está cubierta de salsa mentaiko. Chinese New Year, the most important traditional holiday on the Chinese calendar, will be celebrated on February 5. For the occasion, fast-food chain Burger King launched two limited edition hamburgers with mentaiko, a Japanese ingredient of spicy cod eggs. Two mentaiko hamburgers are available for Chinese consumers and one of the hamburger patties is made of salmon. 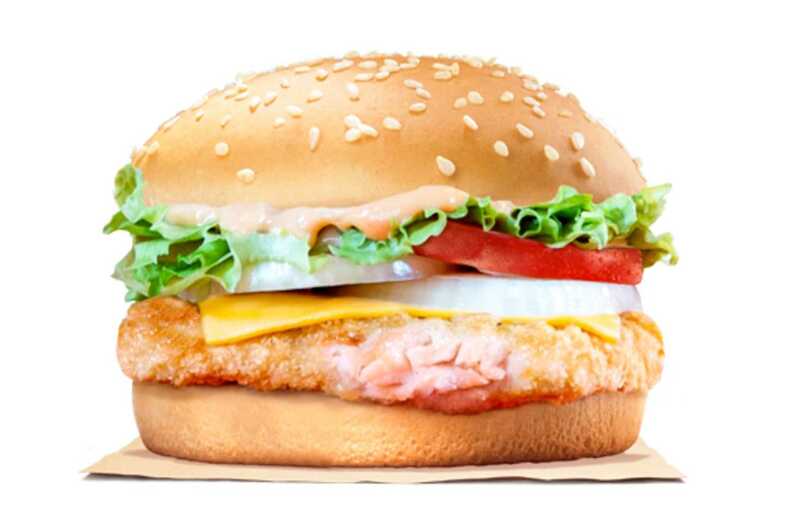 Burger King is selling the salmon option for US$5.50.